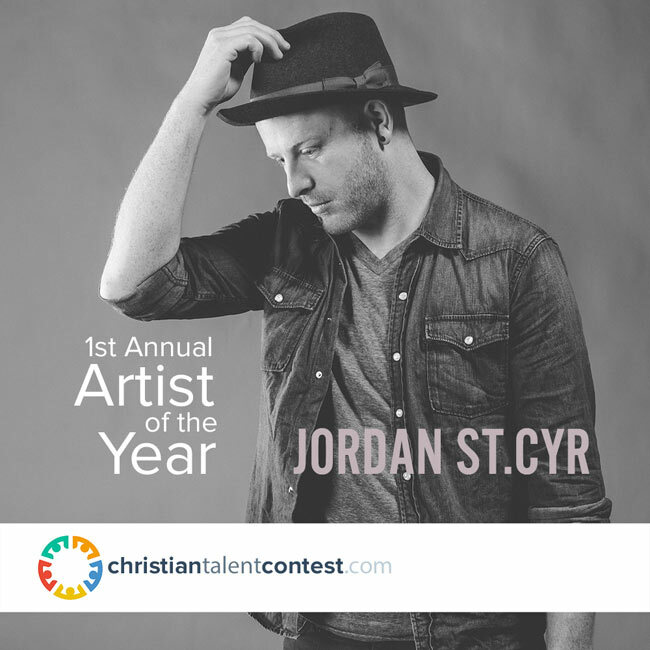 April 16, 2018 (Springdale, Arkansas) – Canadian singer Jordan St.Cyr has been selected as artist of the year at the 1st annual Christian International Talent Contest. CM United sponsors the ChristianTalentContest.com competition. CM United also sponsors the longest-running Christian songwriting contest in existence, ChristianSongwriting.com, which is in its 16th year. Being named ChristianTalentContest.com’s artist of the year is the most recent in a series of accomplishments for St.Cyr. His current single, “In My Lifetime,” has garnered international attention and won the singer/songwriter first place in the Nashville-based Unsigned Only competition, which is judged by artists such as Bart Millard from Mercy Me, David Crowder and Aaron Schust. St.Cyr also was named the 2017 Nashville Rising Star winning songwriter and is currently touring across North America. Ben Calhoun, frontman for Citizen Way, and Micah Kuiper, guitarist for Hawk Nelson, co-produced St.Cyr’s current single. A resident of Niverville, Manitoba, St.Cyr and his wife, Heather, have three children, Aidan, Liam and Willa. Winning the competition earns St.Cyr numerous prizes and opportunities valued at more than $12,000, including having two songs released to radio internationally by A-Sides Radio Promotion ($6400 value), a complete PR package by INOV8 PR ($1500 value) and an Artist Development Package by McLaughlin Music Group ($4500 value). The ChristianTalentContest.com competition names quarterly winners, with all first place quarterly winners becoming eligible for the top honor of being named artist of the year. To learn more about St.Cyr, visit jordanstcyr.com, like on Facebook and follow on Instagram and Twitter. You can also find St.Cyr’s music on YouTube. For more information about Jordan, or to contact him about coming to your area please email info@jordanstcyr.com. The 2nd Annual Talent Contest currently is underway. To enter, visit ChristianTalentContest.com. Formerly CCM Network International, CM United, which was founded in 2002 by Jeff McLaughlin, is a membership organization with more than 4,000 members, consisting primarily of Christian songwriters, singers, bands and worship leaders. CM United’s premiere event is its annual songwriting contests. The 16th Annual Songwriting Contest currently is underway. Learn more at ChristianSongwriting.com.